Skoda Rapid for rent in Bucharest at low rates from Promotor Rent a Car Bucharest. Skoda's Rapid - a straight forward, spacious, good value C-segment competitor - will occupy the small family' ground and push the Octavia up into fleet territory. The Rapid is a good-value package for rent in Bucharest. It doesn't cost much to rent and the engines don't use too much fuel. The Skoda Rapid earned the maximum five stars in Euro NCAP crash test results. Every version also comes with six airbags, stability control and Isofix child seat mounting points. Overall, Impressively low running costs, exceptional value for money, very practical, Skoda Rapid is a very practical, affordable and dependable family car. The Rapid's huge boot beats its rivals It can't be denied that practicality is the Skoda Rapid's defining attribute. The car boasts a measured boot capacity of 550 litres - significantly larger than others. A height-adjustable driver's seat means finding a comfortable driving position in the Rapid should be easy. The steering wheel is adjustable for height and reach, too. Rent Skoda Rapid in Bucharest and take advantage of Promotor Rent a Car's lowest rates. Promotor Rent a Car Bucharest rents Skoda Rapid Automatic cars at small prices, that satisfy even the most exigent customers. Rent now Skoda Rapid Automatic from Promotor Rent a Car Bucharest, at the smallest price in the town. Also, Promotor Rent a Car Bucharest offers their clients the transfer service with a driver, with the car chosen by the client. 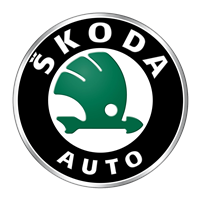 Promotor Rent a Car gives you the possibility to rent a Skoda Rapid Automatic car with a driver in Bucharest! You lost you driver ”s licence and you need a driver? We have the solution ! Get rid of the traffic stress and rent a Skoda Rapid Automatic car with a driver. We offer you standard cars of 5 seats, 5 stars limousines for the important events in your life, or buses for you and your friends. Promotor Rent a Car Bucharest offers the car transfer service between towns, ideal for those who want to travel in a relaxing and fast way. Our long term rental Skoda Rapid Automatic cars offer gives a series of immediate benefits, and also throughout the whole rental period. The cost of renting is deductible 100% and does not pay off in time, like it does it the case of standard financial leasing. For rental periods of minimum 2 years, we can offer you new Skoda Rapid Automatic cars, with 0 km, through Operational Leasing where you benefit of a unique, fix and small monthly cost, throughout the whole period of the contract and all the taxes ( road tax, the annual tax of the car), the insurances (the green card, Casco insurance), plus a full services package, which includes: replacement vehicules, maintenance, repairings, tires administration, road assistance, periodic technical inspection and revisions, all included in the monthly cost.